Do you ever wonder where strength comes from? Your own strength? We all have the strength to get through tough times. We just have to put our mind to it and have faith in ourselves. There are many unwanted things/memories I have in my past that you may have as well. Things that you want to forget or feel like you cannot talk about or that it is not something that should be talked about. Usually, the things you find yourself and someone else struggling with are the things that NEED to be talked about. What if everyone kept all of their feelings and struggles to themselves? It would be a very boring world and no one would ever learn about you or know that they are not alone in this world. This brings me to family and as I always say, “you don’t get to pick your family". Growing up I had what many would call, at least in the South, the perfect family. We were at church every time the doors were open, the house was clean, manners were taught etc. As you know, looks can be deceiving. Just because a family seems picture perfect does not mean they are and you never know what goes on behind closed doors. Unfortunately, I know this feeling all too well. You may be nodding your head thinking the same thing or tears may be running down your face. None of us wants to think of or be reminded of bad memories, but sometimes crying is a way of showing your strength. I always knew things didn’t seem right, but the mind has a way of blocking out negative things so you can survive. Being a survivor makes you a strong person. Yes you! You are strong even when you think you are not. By the time I was 22 years old I was having recurring dreams. I guess my mind decided it was time to deal with some things. While this was making me mad, it also made me see some opportunities. I thought to myself, “There has to be someone else out here that has been in this situation or are going through it right now that needs me." What I decided to do was find a place that helped troubled teens and even adults. There are plenty of places out there; just look. My goal was to be able to reach at least one person to let them know they are special and most importantly that they are strong. Many call this process mentoring, but you could just call it caring if you wanted. Now, I know that not everyone is a people person, but someone you know is. This person would most likely collaborate with you and eventually, you feel more comfortable stepping out of your box. All it takes is you being strong and reaching out, and I know you can do it. The first person I took under my wing was a 17-year-old teen girl that was pregnant and court ordered to be in a home for teen moms. She had a nasty attitude and didn’t care about anything or anyone. I talked to her and she would never look at me, and yes, this pissed me off. Therefore, I decided I would have to go another route to get her to listen, not hear, but listen to me. I knew I was going to have to get on her level. That is one thing as adults we never need to forget, the feeling of being a teen. Teens do not feel strong and a lot of the time feel worthless, but if you take the time to get in their space and give them no choice but to hear you, they will do just that, hear you. This young lady always looked at the floor when I was talking to her. One day I decided to sit on the floor and look at her under her folded arms and just said “hey!" Well, that got her attention and by getting on her level it showed her that I really did want to be there for her, that I cared about her. In a nutshell, she eventually had her baby and actually stayed in touch with me. This was a domino effect with all of the girls in this home. I then realized how much THEY were actually helping ME! This is what I am trying to tell YOU. You are strong and have a lot to offer someone; all it takes is showing that you care. Remember, maybe that is all you needed at one time, even as an adult. Strength is within you and you can help show someone else it is within him or her as well. You are strong and can stay strong! By believing in yourself and helping others believe in themselves, you become this ray of sunlight. You will be so bright that people see you from miles away and are drawn to you. You can be that light and always remember how strong you are. Stay strong! 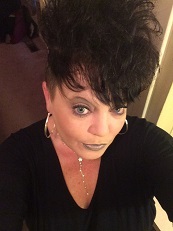 My name is Melonie Shelton and I’m a 44 year old single mom. I have 1 daughter who just started college and we live in Arkansas. I am a person that never meets a stranger and would give anyone the last thing I have. I remember I was well into the New Year, Christmas felt like a long distance memory and I noticed that the last thing on many people’s minds is relaxation. I understand that maybe Holidays period is very busy, so there’s not much relaxing going on. Then the new year has started and most people are back to rushing from one place to another, appointments, meetings, deadlines … I’m definitely one for advising that you set yourself goals and targets, but I believe in relaxing too. 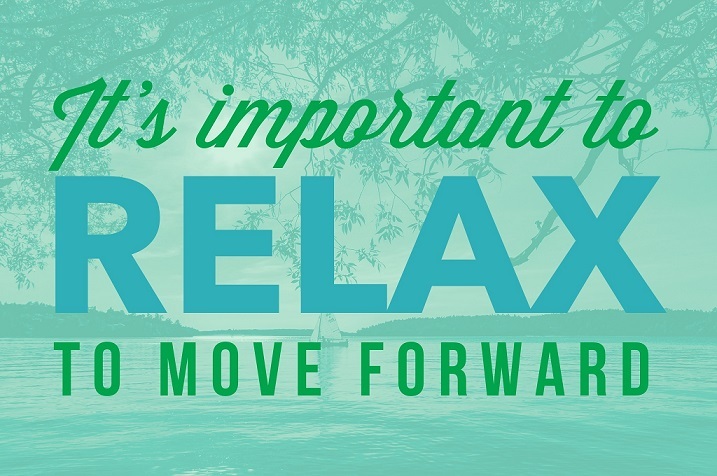 Relaxing helps us focus, truly focus on where we are and what we need to do. It helps to eliminate that fuzzy fog that surrounds many minds as they sleepwalk through life day in, day out. Taking time out to assess and soothe your body and soul is the key to moving forward. 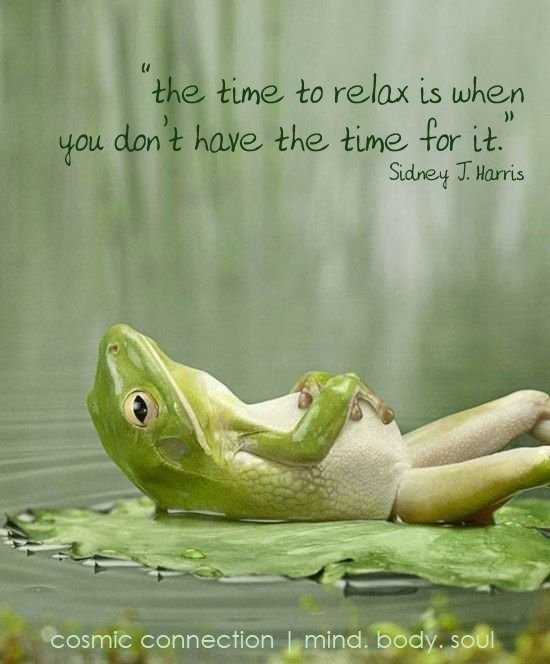 How many times have you heard people saying: “I haven’t got time …” These are the people who need to relax more than most. So if you’re one of those people who feels the need to keep moving, there’s no time for chilling … ask yourself how fast are you actually moving forward? If you feel you simply CAN’T STOP! Even the thought stresses you out. Then you are probably that person that needs to relax. Here’s a little task for you … start writing a journal, look back over it week by week and see how fast you’re moving. While writing your journal put some feelings, thoughts, and emotions into your writing, turn your writing into a relaxation technique. It’s an amazing method. If you do this, you’re still ‘working’ as you’re writing down your achievements, but at the same time, you are actually allowing yourself to put things into perspective. So remember, when you are relaxing, you are not being lazy, you are not wasting time … the exact opposite … you are re-fuelling your mind, body, and soul. When you woke up this morning, what were your first thoughts? Did you want to get out of bed? Did you think about appreciating the fact that you could actually get out of bed? Did you appreciate that you are alive and living in this precious wonderful world? Many people don’t wake with these thoughts. The reason many people are unhappy in their lives is because they want MORE! And that’s ok … it’s okay to want more from life, to want to strive ahead and make a better life for yourself and your family. It’s great to have that determination. But if you appreciate how far you’ve come, you will go further. Before I was introduced to the Law of Attraction, which was many, many years ago, I was a ‘glass half-empty’ type of girl, those days are long gone, in fact, I can’t even remember that girl. Now I’m more than a ‘glass half-full’ girlie … I’m a ‘glass half-full looking for people who are thirsty,’ girlie. Emotions and feelings are the keys to having a better life. Being unappreciative of your current situation could lead to a worse situation. 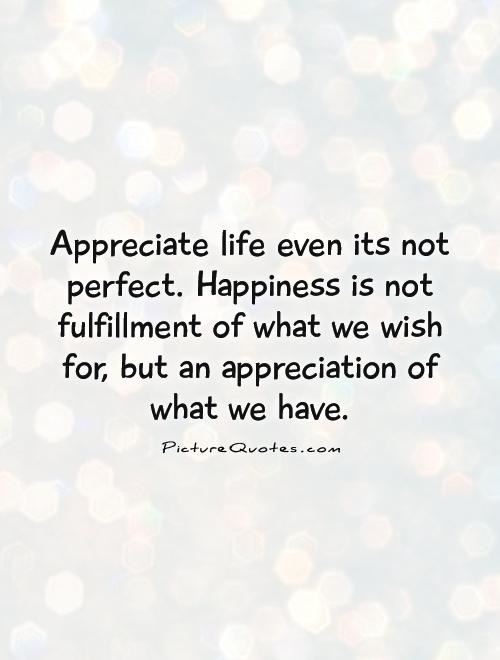 You may think, ‘but I do appreciate my life, I just want more.’ As I said above, this is ok, to want more is healthy, but when was the last time you actually looked at you and felt truly grateful. 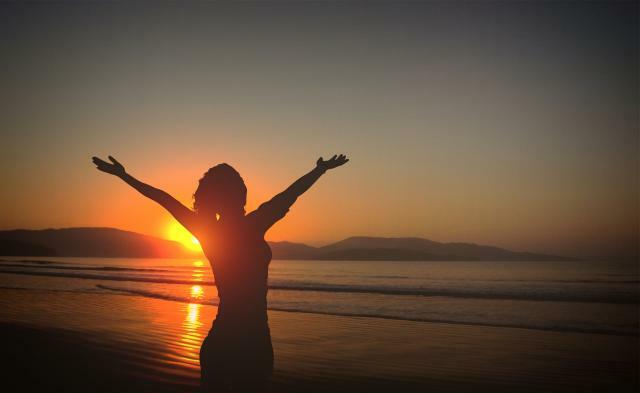 How often do you look at your life and feel deep appreciation? True appreciation is a blessing. 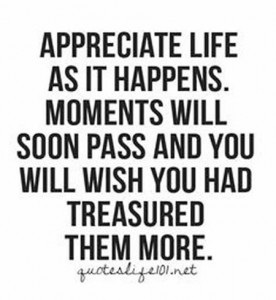 THERE’S ALWAYS SOMETHING TO APPRECIATE! Being so hungry and not knowing where the next piece of food is coming from. 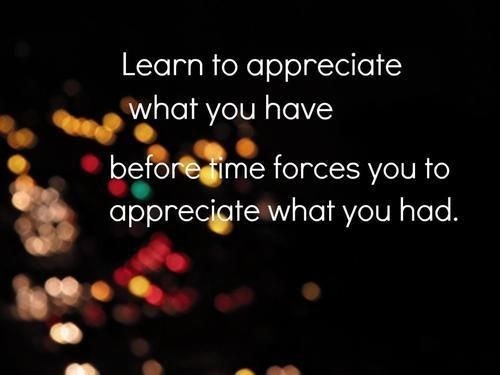 Now, APPRECIATE all the things you have in your life that you don’t want to lose. Put your hands together and really feel true appreciation from your heart. When I first started learning about the Law of Attraction, I realised that I didn’t appreciate my life enough. Now, I appreciate everything in my life and I constantly say ‘thank you’. A good exercise is to write down daily 10 things you are grateful for, 10 things you appreciate in your life. Even if you hate your job, you should appreciate that you have a job and that you are able to work. Start looking at the things in your life that you don’t like and turn it around. What can you appreciate about it? Do this every day until your appreciation becomes second nature, saying ‘thank you’ and appreciating your life is a way of life for you. “I See Somethings" is the inspirational speech with which Dananjaya Hettiarachchi became the World Champion of Public Speaking in 2014. Watch this inspirational speech from Toastmasters International, the World Championship of Public Speaking. You will hear in this video how difficult is to feel special, but when people look at you and say with enthusiasm “I see something in you, but I don’t know what that it.”, amazing things will happen for you. “The Power of Words” is the speech with which Mohammed became the World Champion of Public Speaking in 2015. Watch this inspirational speech from Toastmasters International, the World Championship of Public Speaking. It will show you how words have the power to save or take a life.